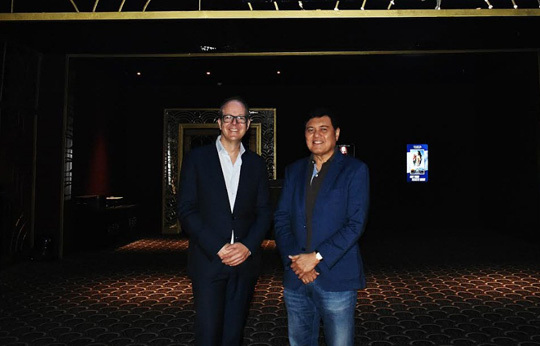 Outdating existing cinema experience currently available in the country, Vista Cinemas introduces an incredibly groundbreaking movie technology as it houses Southeast Asia’s first IMAX with Laser theater in Evia Lifestyle Center Mall in Alabang. Launched in November, Vista Cinemas’ IMAX with Laser cinema now brings the audience a notch higher with its next-generation technology that delivers stunning images and heart-pounding audio for an unparalleled immersive cinematic experience. Capturing true reality projected on one of the world’s largest screens, the experience is set apart by its next-generation 4K laser projection system which features a new optical engine and a suite of propriety IMAX technologies that deliver increased resolution, sharper and brighter images, deeper contrast as well as the most distinct, exotic colors ever available on-screen. Defying the standards in immersive entertainment, Vista Cinemas’ IMAX with Laser theatre is consistent with its thrust to bring only the best experiences to its customers aimed to transport audiences into today’s most anticipated blockbusters with heightened realism that draws the audience into the movie and out from his own world. The IMAX with Laser technology has been designed from the ground-up exclusively for IMAX screens that delivers breathtaking images and makes use of IMAX’s 12-channel sound technology for an even greater dynamic range giving the ultimate in audio immersion. Because the audiences deserve more than just a movie, get ready to experience a world of difference at Vista Cinemas’ Evia Lifestyle Mall IMAX with Laser at Evia Lifestyle Center. Visit Vista social media pages at www.facebook.com/vistacinemas, www.facebook.com/evialifestylecenter, and www.vistacinemas.com.ph.